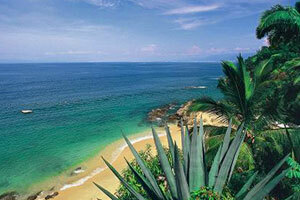 Puerto Vallarta is located in Banderas Bay, a paradise for water sports, kayaking, diving, exploring and boating. Don't miss out on the wide variety of activities available, and make your next Puerto Vallarta vacation one of the most exciting experiences you've ever had. Adventure on Pirate Fun Island is a very popular activity for kids, featuring water sports, games, meals and drinks for an unforgettable time on your Vallarta vacation. You can snorkel by the beach, take a kayak tour and play a game of beach volleyball. 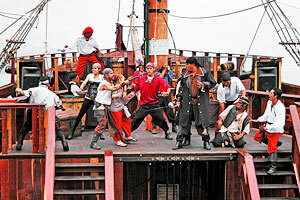 For kids, the adventure includes an amazing treasure hunt, contests and a pirate show on board a ship. 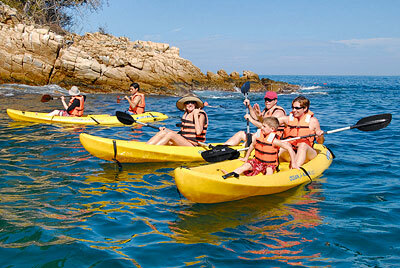 Check out this exciting activity on your next family vacation in Puerto Vallarta! The areas surrounding Puerto Vallarta are home to lush natural beauty, including the Cuale River and the rainforests of the Sierra Madre mountains. 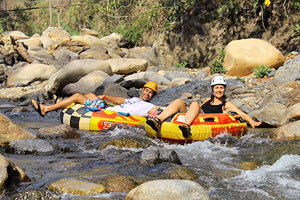 In this extraordinary setting, you'll get to experience thrilling activities like rappelling and zip lines. Your Cuale River adventure can include a river rafting trip, diving into the cool waters or simply lying back and enjoying the scenery. A tour of Las Caletas allows you to briefly escape the busy tourist area and Puerto Vallarta hotels with a one hour trip to a paradise that can only be reached by sea. This impressive coastal location boasts some of the best beaches in Puerto Vallarta, perfect for snorkeling, diving and kayaking. Las Caletas is also ideal for a romantic walk, meditation, massages, relaxing in a hammock or exploring beautiful local gardens. 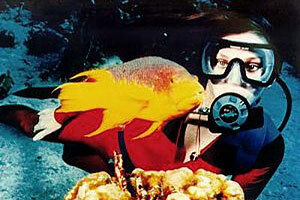 You'll discover diverse and fascinating options for diving in Puerto Vallarta. Even if you don't know how to dive, there are plenty of tours for beginners diving in Las Caletas, while more experienced divers can enjoy certified diving in the Marieta Islands. No matter what you choose, you'll explore the underwater world of Banderas Bay, filled with tropical fish, manta rays, turtles and even whales during certain times of year. 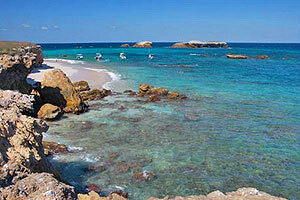 The Marietas Islands nature reserve is situated north of Puerto Vallarta, very close to Punta Mita hotels. This sanctuary features an archipelago of islands filled with diverse wildlife, home to endangered species like the Olive Ridley sea turtle. Take a guided tour and discover the Marietas Islands, a unique opportunity to explore a protected ecosystem. Incredible diving, snorkeling, kayak tours, bird watching and even seasonal whale watching in Puerto Vallarta await you, an adventure you won't want to miss!